United States President Barack Obama, known as the “Hawaiian Hit Man”, can claim another nickname, “D.C. Mack” after pulling a pimp move on Congressional Republicans! The politician members of the Republican Party strategy to oppose every political action recommended by the President backfired on the GOP recently when President Obama recommended extension of a middle class tax cut. By opposing the Obama legislation proposal, the dumb GOP members were about to vote against themselves and allow an existing tax cut to be terminated, thus raising taxes for millions of Americans. After being exposed as political idiots, the Republicans backed up and supported the tax legislation proposed by Obama. The President’s election-year strategy is an attempt to capitalize on his recent victory on the short-term extension of the payroll tax cut and on his rising poll numbers. As the stage is set for November, he intends to hammer the theme of economic justice for ordinary Americans rather than continue his legislative battles with Congressional Republicans, according to Joshua R. Earnest, the president’s deputy press secretary, previewing the White House’s strategy. It really seems as though Obama will be running on his own against the whole Congress, both Republicans and Democrats. The approval rating of Senate and House Congressional leaders are now as worst as it has ever been and the President is taking that message to the voters. Yes, the President has a horse to ride on. Hi Ho Silver! If a Black President wants to ride it is best to ride the white horse, so to speak. The President is expected to further showcase measures he is taking on his own to revive the economy. Obama has used his executive authority in recent weeks to promote the hiring of returning veterans and help students pay back their college loans. 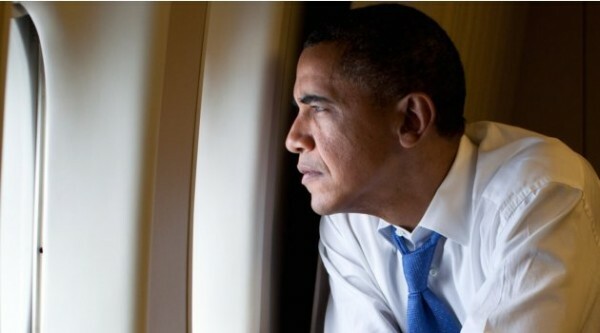 Underscoring the jobs theme, Mr. Obama plans to return to the road visiting various cities to speak about the economy. Yes, President Barack Obama pulled the old Okey Doke on Republican politicians. The GOP was so focused on hating everything the President proposed, they ended up looking like fools by hating their very own political proposals. Previous : The LanceScurv Talk Show – The 2012 LanceScurv Cyber New Year’s Party Countdown! Next : The LanceScurv Talk Show – The Deceptive Predatory Tactics Of The Child Molester! Trump Or Hillary 2016: It Doesn’t Matter Who Wins If You’re Not Motivated From Within!